A chef with a radically different personality than Paul’s might have excoriated these chefs he had trained or told them to leave now. 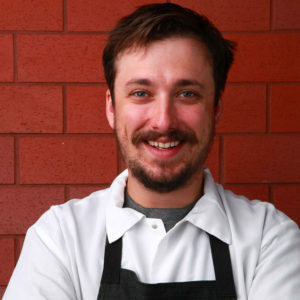 But Paul himself had benefited from the nurturing and encouragement of the chefs from whom he learned, such as Rick Bayless and Erwin Dreschler, and he has played the same mentoring role for his staff since he launched his independent career by opening Blackbird in Chicago’s West Loop neighborhood 20 years ago. So he and his One Off business team — Donnie Madia, Terry Alexander and Josh Tilden — developed a plan to partner with Erling, Cosmo and Josh (who is transitioning over) in the first restaurant in their new Underscore Hospitality group. The yet-unnamed restaurant is described as featuring California hearth cuisine, and has the same commitment to food produced sustainably and as locally as possible as One Off pursues at its extensive restaurant group. This is, in turn, enabling Erling and Cosmo to learn from these leading experts in restaurant design and development — and avoid some of the daunting challenges and rookie mistakes young chefs often face when going out on their own. 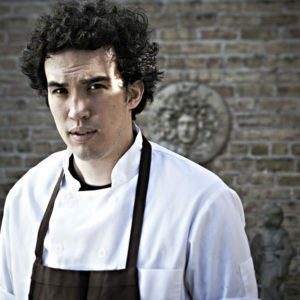 For young chef-restaurateurs, this amounts to a master class. 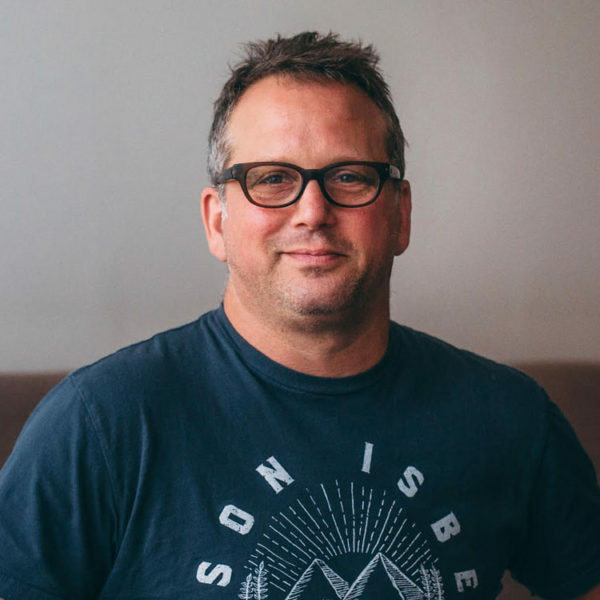 Paul won James Beard Foundation awards for the nation’s Outstanding Chef in 2013 and for Best Chef Great Lakes/Midwest in 2004, both for his work at Blackbird, and was named to the organization’s Who’s Who of Food & Beverage in 2014. Donnie Madia won the 2015 James Beard Award for Outstanding Restaurateur. Paul also received FamilyFarmed’s Good Food Chef of the Year Award in 2016. Good Food on Every Table published two stories at the time detailing Paul’s culinary career and his commitment to social values embodied in Pilot Light, the chef-driven program he co-founded that helps Chicago Public Schools integrate food education into students’ curriculum. Erling himself has been nominated this year (for the third consecutive time) for James Beard Best Chef Great Lakes, with the winner to be announced next Monday (May 1) at the foundation’s annual awards ceremony in Chicago. Cosmo has been named to the prestigious 20 in Their 20s List by Crain’s Chicago Business and to Forbes magazine’s 30 Under 30. 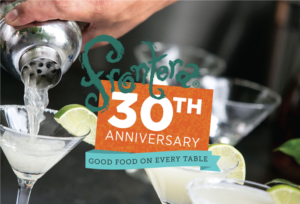 And Paul, Erling and Cosmo will all participate this Sunday (April 30) in the Frontera 30th Anniversary Celebration, a benefit for Rick Bayless’ Frontera Farmer Foundation and FamilyFarmed. Erling has actually known Rick since childhood: Olivia Wu, his mother, is a friend of the chef and co-authored one of his earliest cookbooks with him. To learn more about the Frontera 30 event and to buy tickets, click here. To learn about the awesome online silent auction, in which everyone can participate, click here. The following is an excerpted conversation held April 25 with the three One Off chefs. FamilyFarmed: What I’d like to focus on is the whole issue of mentorship and developing the new generation, because all of you have been through that. So Paul, tell us a little about your history of working for Erwin, working with Rick and how that’s influenced how you’ve mentored and trained this next generation of chefs. I want the customer, the guest, to come in and really love everything that they eat. Consequentially, that is really what our company is built on. It’s built on teamwork and exchanging of ideas, working together and being a pillar in the community from the standpoint of giving something back and doing things at a sustainable way. All those lessons were the only things I was ever exposed to. FamilyFarmed: So you could have all the technique and the culinary training in the world, but the work ethic sounds like it’s the most important thing. 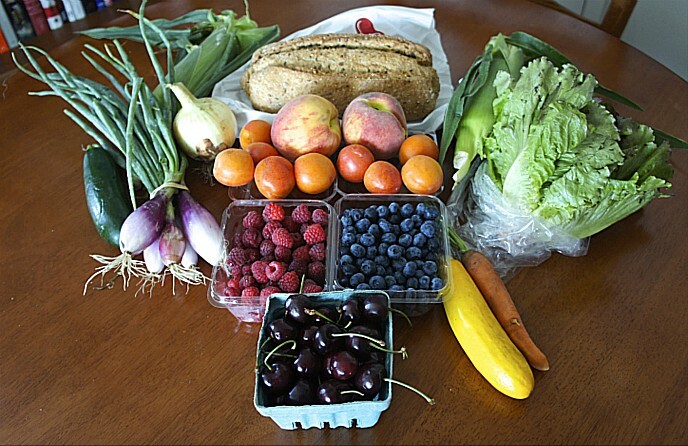 FamilyFarmed: It’s interesting that all three of you come in with some sort of food background, Paul with his father in the fish business, Erling, your mom being a cookbook writer, and Cosmo, your folks running a restaurant. 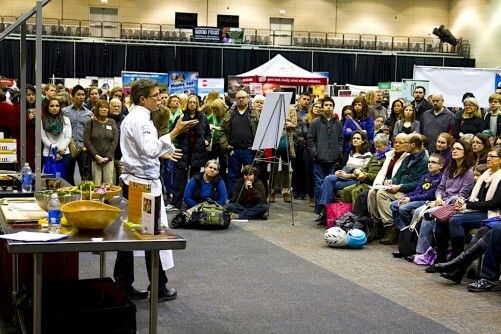 FamilyFarmed: Each of you younger chefs has pursued a different track. 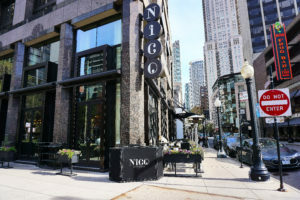 Nico is different from The Publican. Was it difficult to make those transitions at all? 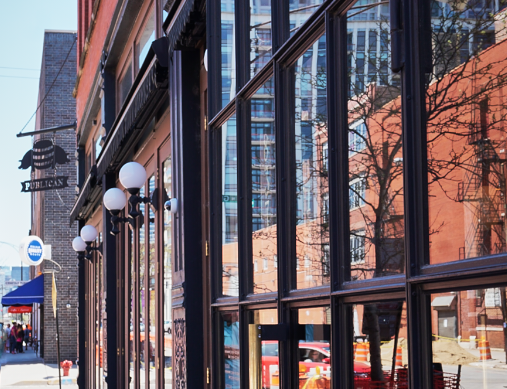 Erling: One of the things that happened early on at The Publican is that Paul had the greatest sound bite of all time, which was “Oysters, Pork and Beer.” Brian Huston, the first chef at The Publican, and I took that and said we really want to do a huge seafood section of the menu. We’d started shipping in seafood from a company called Monterey Fish in San Francisco. And that’s really where we started developing a love for seafood that’s delivered from the source… Seafood ordered from the source or closer to the source just has more of a story and more meaning to the people who cook with it, more meaning to the people who eat it. And that bred Nico. Paul: That’s become an important defining principle, whether it be fishermen or meat producers or farmers. That’s a super-important defining characteristic of The Publican. Cosmo: I’m from California… I love avocados. And Paul was like, “Avocados at The Publican? What are you talking about? There’s no Midwestern avocados.” But I said, just try this, it’s the best organic avocado I’ve ever had… If we’re going to serve plums and they’re grown really well but they might be grown a few states over, why not serve the best plum or the best avocado or the best Dover sole, whatever it happens to be. 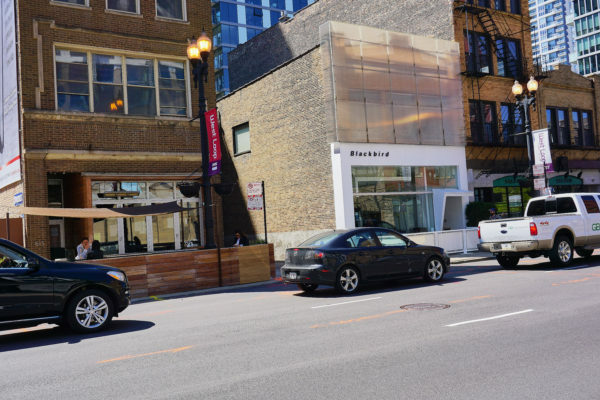 FamilyFarmed: Let’s talk a little about this new development for Erling and Cosmo… The fact that you’re doing this as a partnership just kind of shows the generosity and development that has also been a trademark of One Off. FamilyFarmed: Paul knows I’m a huge fan of Pilot Light. And I think that instilling this respect for food, a better way of eating in our youngest eaters is crucial to the future of the Good Food movement and making this a healthier and more sustainable country. Paul: For me, we’ve gotta vote. That’s where it’s at. Look at what’s going on right now, with ultimately decisions being… put through will have an impact on our world and on generations to come… Just vote. The key for me is, vote. Paul: When you’re far below the poverty line and really have no access to any good food, any good nutrition at all, or any good education at all, the problem is huge… Pilot Light certainly addresses the issue of education in our city as a whole, and how we can make food and an understanding of food a giant part of that moving forward… We can institute a lot of change, but we’ll never change those food deserts and those areas that have no access to what we’re talking about unless we really work on that and push hard on that. This entry was posted in Awards, Chef activism, Chef advocacy, Child nutrition and health, Cookbooks, Farm to table dining, Farm to Table: Keeping It Real, Food access, Food activism, Food and community, Food education, Food Entrepreneurs, Food policy, Frontera 30th Anniversary Celebration, Frontera Farmer Foundation, Good Food business development, Good Food Dining, Good Food restaurant trends, Healthy eating for children, James Beard Foundation Awards, Restaurants and Good Food, School food, Sustainable dining and tagged Blackbird Chicago, Chef Paul Kahan, Cosmo Goss, Crain's Chicago Business, Donnie Madia, Erling Wu-Bower, Erwin Dreschler, FamilyFarmed, Forbes magazine, Frontera 30th Anniversary Celebration, Frontera Farmer Foundation, James Beard Foundation Awards, Nico Osteria Chicago, One Off Hospitality Group, Pilot Light Chefs, Rick Bayless, Terry Alexander, The Publican Chicago, Underscore Hospitality. Bookmark the permalink.